Keep soil and rocks at bay thanks to our stylish and durable retaining walls. 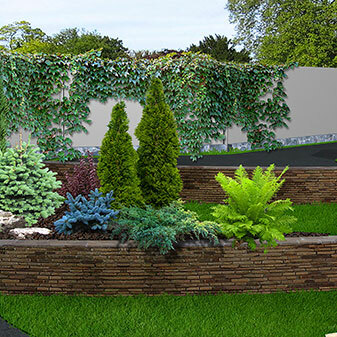 Able to be seamlessly installed in a number of configurations to suit your garden, retaining walls can add a layered and expressive effect to an otherwise flat garden bed. To learn more about the benefits that a retaining wall can bring to your outdoor environment call Rolan Enterprises today.